The 11-926 features a durable coating secure grip in oily environments. The liner is made with fine nylon fiber dipped in a ? design to ensure back of finger full protection. This unique blend of protection, performance and flexibility features bridges the gap from previous generation ? 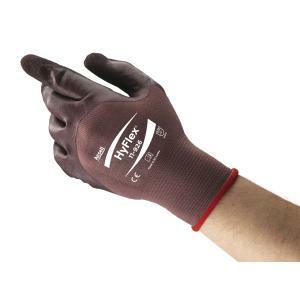 dip oil repellent general purpose gloves build on cut and sewn cotton liners to the seamless palm dip gloves; 11-926 is adding enhanced flexibility, tactility and oil grip to the previous generation design whilst improving oil repellency, oil grip and wear life.